September is the busiest time of the year thanks to students at LSE, UCL and King’s College London keen to be within walking distance of their lectures. September is our busiest month of the year and I made a start on work last night, planning and visualising the week ahead. I get the hardest part of the day out of the way first — a quick gym session before heading to the office — then I go through the influx of online portal enquiries from over the weekend. I call these sofa-surfer enquiries, and the majority are from students at LSE, UCL and King’s College London, all wanting to live within walking distance of their universities, and hoping to move in as soon as administratively possible. The team then gets together for the Monday meeting and we discuss what needs doing to get our stock let quickly and efficiently for our landlord clients. As expected at this busy time of year, the rest of the day is spent out of the office in back-to-back appointments until late. It’s 7.30am and I’m walking my dog while updating my social media. I find social media an excellent way to raise awareness about upcoming stock and also to generate strong leads. I receive a WhatsApp from someone who I showed a flat to yesterday and they want to make an offer. I quickly get it agreed over coffee, giving me time to spend the rest of the morning contacting prospective tenants, pitching our new stock and arranging viewings of apartments in and around Covent Garden. Later on, I meet with a prospective corporate tenant who wants to rent properties for employees relocating to London. We spend a good few hours looking at floorplans and viewing buildings of anything between three and 15 flats. Offers are being negotiated left right and centre and we love it. We have a list of portal enquiries to get through from overnight, with phones ringing off the hook and a deluge of emails coming in. My team and I get ready to preview one of the newest additions to London’s skyline, on the South Bank. My colleagues immediately begin taking pictures of the facilities and flats to send to their applicants. Later in the day, I answer the phone to a relocation agent who has a search on for a senior director at an investment bank. He’s looking for a penthouse in the West End — our speciality. I line up viewings of four beautiful flats. I wake up to an email with a long list of questions about one of the blocks that I pitched to the corporate contact on Tuesday and get to work responding. It’s a block of 15 apartments so it could be a major deal for us if it works out. We are about to break a team record for the most deals agreed in any single month, so we are all in high spirits. Friday is also one of the busiest days as we’re all organising our weekend move-ins with tenants, to ensure things go swiftly and smoothly. A lettings agent can sometimes have to liaise with five or more different parties, such as inventory clerks, cleaners, concierges, key cutters etc, just for one move-in, which can be a lot to juggle. On top of that, I am trying to fill my diary for Monday. I spend part of the day putting together a report for a big client of ours who owns multiple residential units in Covent Garden.I report back to them every Friday on viewing feedback, market analysis, offers received and so on, and I feel we both really value the relationship we have built up. 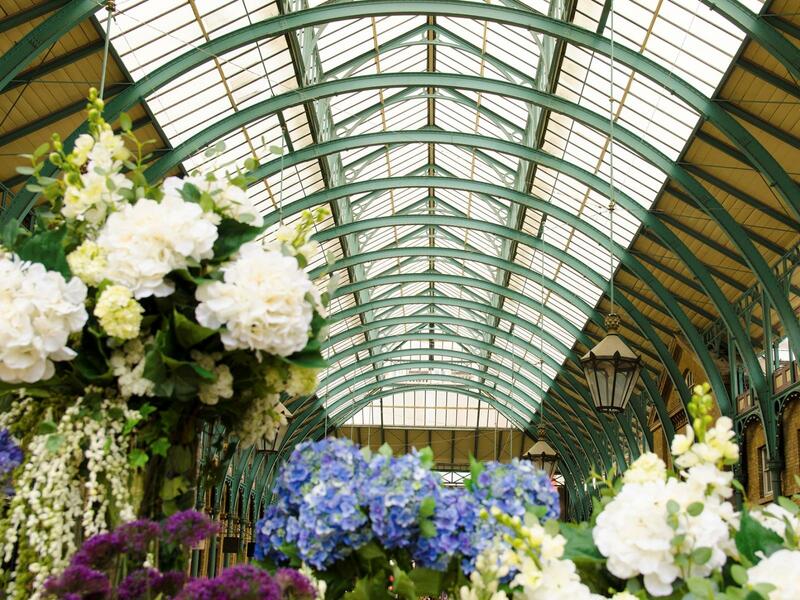 Looking to rent in Covent Garden?